Most of us look forward to retirement. But as this lifestyle change draws closer, you may begin to wonder if you can actually afford to retire. Or perhaps you question what quality of life you will have in retirement. We can look at your current financial situation and provide guidance into how long your money may last. We can also identify which Centrelink Benefits and other entitlements you may be eligible for. The earlier you start to plan, the greater the range of effective strategies. Planning early, will give you time to think about your options and to involve the family in discussions to ensure everyone is comfortable with the changes. When deciding where you want to live and what sort of care you need, make sure you know the difference between a retirement village and what is called ‘residential aged care’. Retirement villages are an independent living option. You buy the right to live in a retirement village under various types of contracts but the government does not help with any of the costs. This is different to aged care where you receive full care and the fees are regulated by government, with the government paying some of these fees. Retirement villages are an independent living option. So you need to be able to look after yourself but help may be close by. 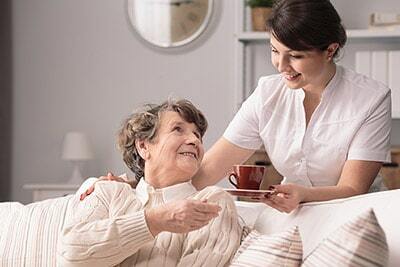 If you do need some help with daily activities, you can access help through the Home and Community Care (HACC) program or be approved for government subsidised home care packages. Some villages have residential aged care on the same site which you can access when you are ready for a move to full care. There are also villages referred to as “Aged Care Communities” which offer residents a hybrid model, living independently whilst receiving in-house care and support. During this meeting, we will capture information to better understand your situation. We will provide education on options available to you and the financial aspects of moving into an independent living arrangement. At this meeting we will discuss the services we believe can assist you in making the right financial decisions and provide you with a cash flow analysis of moving into a Retirement Village with the view to optimise your financial situation both now and in the future. Get in contact to find out how we can help you? Beacon Financial Planning Pty Ltd ACN 603 990 290 is an Authorised Representative and Credit Representative of AMP Financial Planning Pty Limited ABN 89 051 208 327 Australian Financial Services Licence 232706 and Australian Credit Licence 232706. Any advice contained in this webpage is of a general nature only and does not take into account the objectives, financial situation or needs of any particular person. Therefore, before making any decision, you should consider the appropriateness of the advice in regard to those matters.